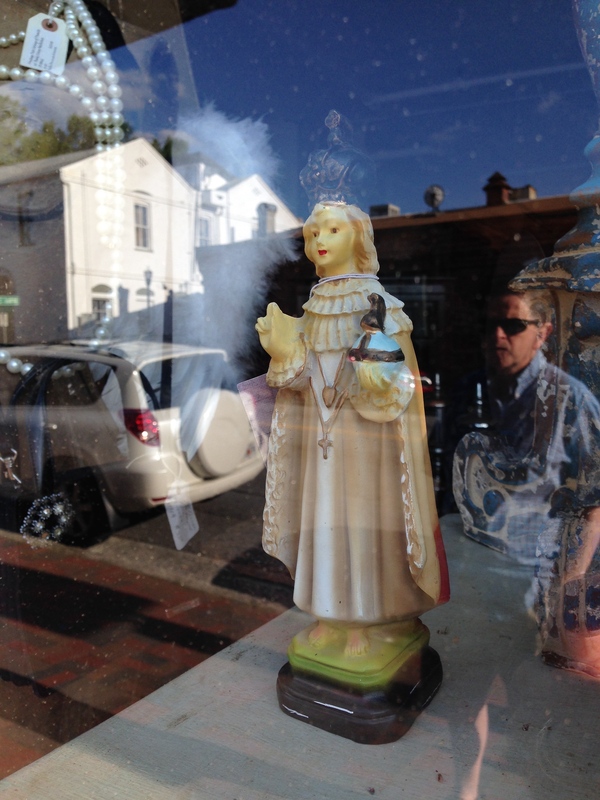 When I snapped the photo, I was really focused on the statuette in the window. After studying the results, however, I was just as intrigued with the blending of reflections. There was a lot going on that day.